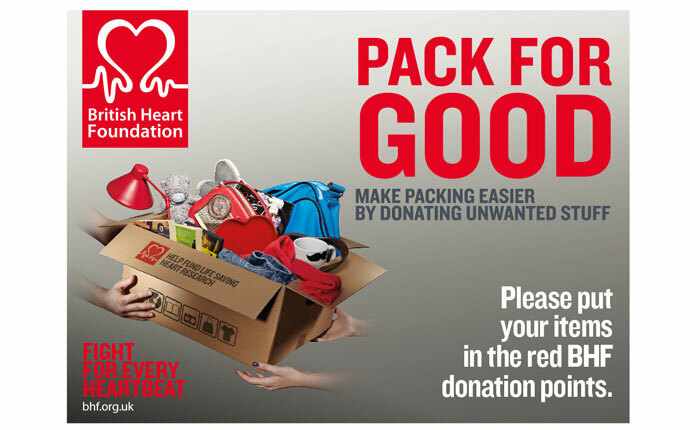 In support of the British Heart Foundation, the Student Community Partnership, Bath Spa University and the University of Bath are teaming up to promote the Pack for Good campaign from April to July. In 2017, the campaign raised over £150,000 for the charity with over 10,000 bags being donated across Bath. The temporary banks will arrive this April and we hope this will help students prepare for moving-out of their accommodation by offering an alternative to throwing away unwanted items and supporting a worthy cause. More information about the campaign and its benefits will be coming soon!